This is the perfect Christmas gift. Quick to print and very fashion. 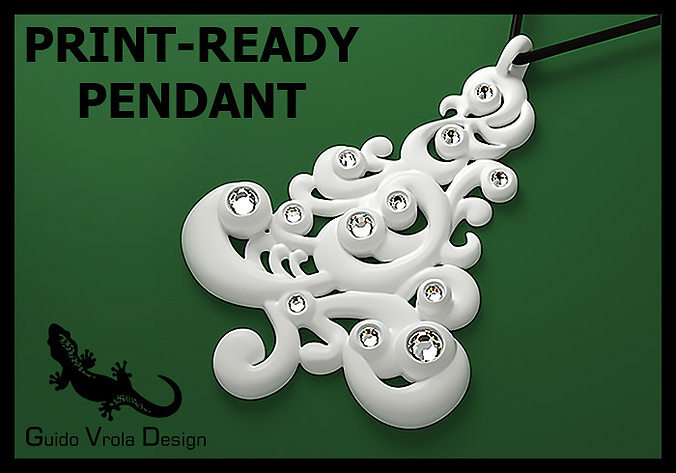 It is a stylized Christmas tree that can be used as a necklace pendant, as an earing, or simply as a Christmas decoration. Can be printed and used as it is or can be enriched with some small crystals, that you can easily find on the internet, for a little price. Try also to print it in different colors, such as red or black, it can be very elegant. .stl and .obj formats available. 1:1 scale is h 80mm. Materials and crystals are not included with this model.